Since opening in Taipei, Vietnamese restaurant Yue Yuan Pho (越苑) has gathered a loyal Pho following. The cuisine cult classic of Vietnamese beef noodle soup is garnished with fresh basil, bean sprouts, lime, coriander and chilli - hot and refreshing in Summer or Winter. Other menu favourites are the bah min - a Vietnamese take on baguette - and Vietnamese spring rolls. Food at Yue Yuan Pho is reasonably priced, made to order and served hot and fast. What sets it apart in a long list of Taipei's Vietnamese restaurants is the great presentation, generous portions of good quality meat and a clean, comfortable space. For a quick, affordable, fine food, in a kid-friendly environment, this is a great option for a family meal. Alas, the Vietnamese restaurant also closes at 9PM, so it's best suited for a lunch or early dinner seating and reservations are advised. 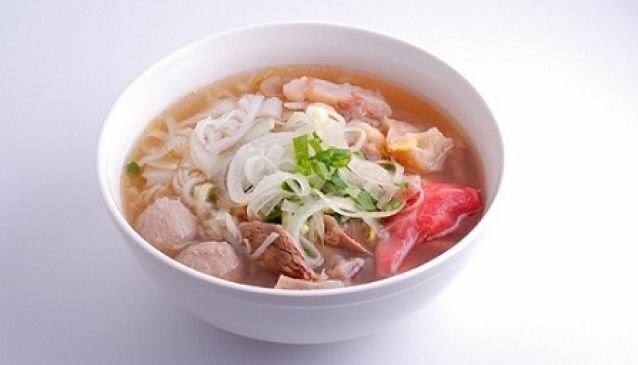 Yue Yuan Pho has two locations in Taipei - one on Dunhua North road in near Zhongshan Junior High School MRT station and another on Dunhua South road In Daan area - near Technology Building MRT station.